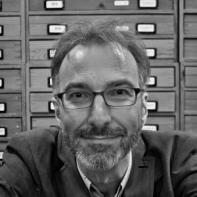 Menno Schilthuizen is a Dutch ecologist and evolutionary biologist based at Naturalis Biodiversity Center in Leiden. He obtained his PhD from Leiden University in 1994 on the evolution of land snails from Greece, then did two postdoctoral stints at Wageningen University and from 2000 to 2006 worked as an associate professor at the Institute for Tropical Biology and Conservation in Malaysian Borneo, where he still holds a research associateship. He has authored over 100 scientific publications in professional journals such as Trends in Ecology and Evolution, The Journal of Evolutionary Biology, and Nature. This interview was conducted via e-mail by Interview Editor Griffin Sandidge. Of the process he said, “Menno Schilthuizen’s book Darwin Comes to Town discusses urban ecology in the form of a relatable personal narrative containing descriptive observations of nature’s evolved coexistence with humanity. It was a pleasure learning more about our changing world and Schilthuizen’s thoughts on writing and our evolving ecology.” In this interview Menno Schilthuizen talks about the relationship of humans and animals, his encounters with research and nature, and his preference for external noise while writing. Superstition Review: First of all Menno, thank you for agreeing to do this interview. I really love how you dive in social ecology and natural selection in your new book Darwin Comes to Town. I thoroughly enjoy when you discuss acoustic landscapes, and tell the story about your group of biology students that take the silent walk to hear all the noises that occur around us. One aspect of this study that I found incredibly interesting was that, “One student remarks how the traffic actually seemed to become louder as we entered the forest.” Sound is an essential part in the lives of countless animals. How does the noise of urban growth affect non urban environments? Menno Schilthuizen: In non-urban environments there is a lot of sound pollution, too. Areas located under the flight paths of major airfields, areas where oil and gas wells use compressors, etc. show interference with the calls of birds, amphibians, and insects. Under water it’s even worse: because of the greater density of water, sound travels further and has a greater impact. Shipping and marine exploration with sound waves disorient fish and other aquatic animals. The extinction of the Yangtze river dolphin is presumably partly caused by interference of the dense shipping traffic with the animals’ communication. SR: It says in your Amazon Author Bio that you enjoy hiking in the dunes outside your home city of Leiden, Holland. As someone who also thoroughly enjoys the outdoors, I am curious to know some of your favorite trails to hike and why? MS: I like to take the time to go on long (1-day) hikes in the country. It’s surprising how quiet it still can be in a densely populated country like the Netherlands. On week days outside of the holidays periods, you can walk for hours in the coastal dunes or the drift sand areas in the centre of the country without meeting anyone. For me, it’s an important activity to “unfankle” my mind. SR: Darwin Comes To Town talks a great deal about evolution of animals, especially in cities and urban areas. In your chapter titled If I Can Make It There, you talk about how the lives of house sparrows have “become so entwined with human habitation, that it no longer occurs in the wild.” How would these animals react to an environment that was suddenly devoid of humans? MS: Good question. I think many species like these are so dependent on humans that they would probably disappear along with us if we were to disappear. A few might survive, and kick-start a reverse evolution back to becoming a “wild” animal again. SR: Charles Darwin ventured to the Galapagos to study evolution and wrote some of his greatest work while he was isolated from human society. Where do you find is the best place to write your pieces? MS: I don’t really need to go to quiet places: I do my best writing in noisy cafés, trains, and aeroplanes. What’s important is that I feel anonymous and safe from disturbance by my own social circle. SR: You currently also organize expeditions to explore nature and learn about evolution with Dr. Iva Njunjić. In these expeditions you offer opportunities for anyone to venture and learn. What is your most memorable expedition? MS: The best one we did so far was to the Ulu Temburong forest in Brunei, Borneo. This is a remote location, only reachable by longboat, but the field centre is perfect for the kind of “mid-notch” research that we do. We built a portable DNA lab, a macrophotography studio, and a microscopy lab, brought in a wonderful international team of experts, and, together with untrained (but highly motivated) participants, we discovered and published several new species of invertebrate animals. SR: Darwin Comes To Town is your fourth major book on the natural science of biology and evolution. How has your past experience with writing and editing for your books influenced what research you chose to include? MS: I try not to be complete: if I can give three examples for a particular phenomenon, I prefer to tell just one well. And by “well” I mean in a way that readers can relate to (because there is some cute historical or human interest twist, or because it deals with organisms that readers may be familiar with). MS: As I mentioned above, I often write away from home. However, when I do write at home, I do so in my “explorer’s room”, which is a small room in the attic of my house, crammed with objects that remind me of past field work. There are teak book shelves where I have all my natural history books, a small collection of antiquarian taxonomical monographs, baskets and arrow cases from Borneo, Javanese wayang puppets, Cretan carpets, and a small display case with fossils, minerals, and stuffed animals.